Free Driving School Directory - Instructor Registration. 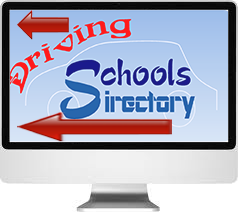 The Driving School Directory offers a free internet directory listing for driving schools, and driving instructors. You will be able to link to your web site. To list your driving school on the directory please complete the initial contact information form below. Your Full Name: A value is required. Driving School Name: A value is required. Driving School Email: A value is required.Invalid format. There are numerous options to advertise on the internet such as in a business directory, telephone directory, email address directory etc. Most are not generally specialised for the driving school business. Also trying to filter through to a UK business directory from the international business directories is time consuming. If we look at the learner driver market in the UK, the largest share of the business is from the 17 - 24 year olds.....where do you think they will look first to find a driving school? Certainly not the national & local business directories. When we learnt to drive we probably did get the phone book out....we were also taught to change gears as we slowed down! How things change with time. Most prospective pupils today will go straight to their PC's, laptop's and mobile phones and undertake a search for " driving school ", " driving instructor " etc. to find an instructor or driving school in their area. If you already have your own web site, the more times you can obtain a link to your web address (URL) on the internet, the better your chances of ranking higher in search engines. It is important therefore to obtain relevant links wherever you can. When you register with us, your listing, as well as your web address and other details being placed in a database for quick retrieval via the search option, your driving school information is also placed on the page of each town you operate within. You will therefore benefit from multiple listings. As each Town page is optimised for search engines, be prepared for the new business! If the towns you operate from are not currently in the Driving Schools Directory, they will be added once you have registered your details. Whatever type of driving school you run, whether it be a learner driving school, HGV driving school, ADI training school etc you need to advertise your school or contact details in as many places as possible. Remember that the Driving Schools Directory "towns" pages are highly optimised for search engines to find.